For years, the tailored customer experience has become the new normal for Business-to-Consumer (B2C) industries and has allowed companies who employ it to gain a competitive edge. While Business-to-Business (B2B) merchants have yet to leverage the customer experience the way B2C does, they are quickly recognizing that doing so can make their business more lucrative and provide them with an advantage over their opposition. By 2020, Forrester Research expects the U.S. B2B eCommerce market to be worth $1.1 trillion, or twice the size of the U.S. B2C market. While B2B companies aren’t typically using online shopping carts with their customers, they do provide a secure customer portal that reflects the B2C idea of making interactions personal. This year alone, 70% of B2B merchants will offer personalized features for customers and Gartner predicts B2B companies with effective customization will outsell competitors by 30%. For B2B companies, thinking like a B2C marketer can help drive growth. And although it seems like a daunting task, implementing customer portals can set up a business for long-term success. There are many partners that specialize in helping companies build an effective customer portal. 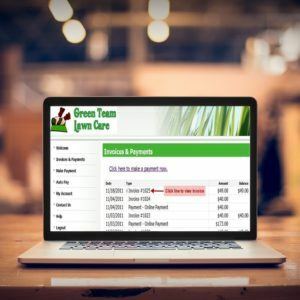 One such company, Bill & Pay, has been working in the B2B arena for years and has seen firsthand the need for portal implementation and the success that comes when corporations include this element into their client relationship. Merchants are not the only ones who see advantages by utilizing the customer portal. “Giving customers access to account history and the ability to pay online – anywhere, anytime – is not only common, but it’s becoming an expectation. We know merchants are proud of the goods and services they sell, and that level of service should be reflected throughout the payment process with a customer portal,” states Medvec. Find Out How You Can Start Building Your Customer Portal Today!